This article is 1915 days old. The Big Brothers Big Sisters of Canada Foundation received a $100,000 gift from former Windsor resident David Wilson, FCPA, FCA, in honor of its centennial celebrations and as a result of successfully achieving a donor challenge. Wilson was instrumental in helping Big Brothers Big Sisters of Canada establish The Foundation to enhance the organization’s fundraising ability. In order to stimulate awareness and donations for the new foundation, Wilson launched a Centennial Celebration Challenge in July 2013 in which he pledged $100,000 if The Foundation could raise $100,000 in new donations for Big Brothers Big Sisters agencies across the country. The Big Brothers Big Sisters of Canada Foundation met the challenge and to have raised more than $200,000 in the process, most of which will be distributed to specific local agencies and/or programs as per donor requests. In Windsor Essex, Mr. Wilson and his brother Sandy made a $20,000 donation to the local Centennial fundraising efforts last January. The agencies Group Activity Room has since been named the Sandy and Dave Wilson Group Activity Room. John Sutton, Executive Director also noted that Sandy, a 50-year season ticket holder who died last March, left a substantial endowment by which Big Brothers Big Sisters of Windsor Essex ‘Littles’ would be able to host their ‘Bigs’ and a friend in his excellent Windsor Spitfires seats in perpetuity. A sale of Sandy’s personal and household effects will take place in the Group Activity Room on February 22. 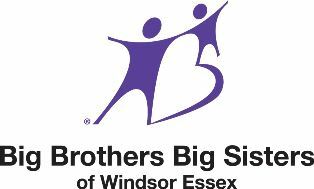 While Sandy directed that the proceeds from the sale would go to the Marilyn and Sandy Wilson Nursing Scholarship Endowment at the University of Windsor, Dave has pledged to donate to Big Brothers Big Sisters of Windsor Essex, the larger of a certain amount or the proceeds raised by the sale.